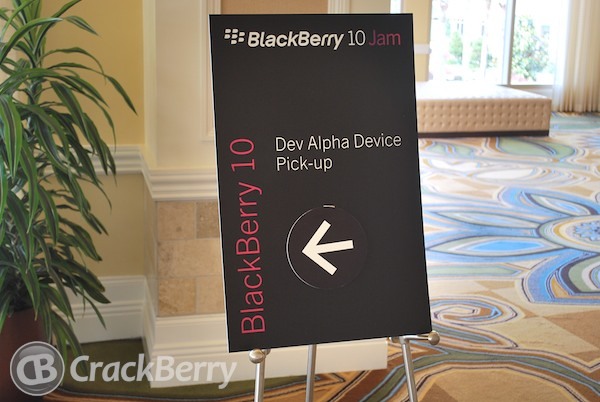 BlackBerry 10 Jam was a huge success this year over in Orlando with RIM giving developers the tools they need to create great superb apps for the forthcoming platform. Although RIM is going through a transition period at the moment, the hype regarding BlackBerry 10 is pretty massive and the BlackBerry 10 Jam is commencing its world tour today over in Italy. Frankly, most things regarding developing on any platform baffle me so I won't waffle on about something I am not all that familiar with, but as an outsider from the developer community it is encouraging to see that many existing BlackBerry devs as well as Android ones committing to the new operating system. At this rate when BB10 does arrive it should have a reasonable amount of quality applications. With RIM hitting the headlines recently for all the wrong reasons the BlackBerry 10 Jam is another positive example of how the Thorsten Heins and the team are striving to make the company a better place with a quality platform for years to come. You can see todays press release regarding the World Tour below. Check out all the BlackBerry Jam World Tour dates here. The BlackBerry 10 Jam World Tour holds its first stop in Milan today, providing Italian developers with the opportunity to learn more about the unique capabilities of BlackBerry® 10 and become one of the first to develop for the new platform. More than 200 developers pre-registered for the now sold out hands-on event at NHOW Hotel, via Tortona 35, Milan. "The level of enthusiasm among developers for BlackBerry 10, including those here in Italy, has been amazing. We are hearing every day from partners who want to start building and showcasing their work on BlackBerry 10," said Alberto Acito, Managing Director for Italy at Research In Motion. Alec Saunders, VP Developer Relations, Research In Motion, added, "At BlackBerry World in May this year, we launched the BlackBerry 10 developer toolkit for native and HTML5 software development and seeded 1500 developers with a BlackBerry 10 Dev Alpha device. We look forward to kicking off the BlackBerry 10 Jam World Tour in Italy and working with local developers to help them ready their apps for the launch of BlackBerry 10." There is already growing excitement among developers in Italy. Luca Filigheddu, developer of the Twimbow app for BlackBerry 10, said, "We chose BlackBerry 10 as the first mobile platform to port Twimbow to, primarily because it is a rich web app developed in HTML5, and the HTML5 performance of the new BlackBerry platform is so impressive. Porting HTML5 apps to BlackBerry 10 is extremely easy with the tools provided by RIM, which allows an HTML app to perform just like a native application would. Furthermore, developing on BlackBerry 10 provides great opportunities for monetization. Being on BlackBerry App World from day one is a strategic move for us, meaning our app will be visible and available to customers." Orazio Spoto from Mobiquity says that his team is developing several applications for the BlackBerry 10 platform. "The Mobiquity team has always been on the cutting-edge of native application development and we consider developing for BlackBerry 10 an exciting opportunity to develop for the future of the smartphone industry." Sebastiano Galazzo is porting the Trova Farmacie, Superbike and Mr Fridge apps to BlackBerry 10. "The BlackBerry 10 platform is very interesting and provides us several development options, including HTML5, Adobe AIR, C/C++ and Qt with QML. This will allow a large range of developers to participate in the BlackBerry 10 community, providing a great number of applications, using the latest mobile technologies. We see the multitasking support provided by Blackberry 10 devices as resulting in better and faster applications." Matteo Fermi, developer of HappyMom for BlackBerry 10, added, "Since the beginning, BlackBerry devices have been designed for active people who want access to all their information in just a few clicks. This is a methodology we applied to our app, which we've designed as being like a ‘Swiss Army Knife' for modern moms, in the first years of their kids' lives. We've been impressed with the fresh approach RIM has taken with BlackBerry 10, including the idea of a continuous flow between apps, supported by multitasking and a polished and innovative UI. These are all really promising innovations. From a development perspective, the native SDK is easy to use and a powerful tool that helps deliver high quality products. To develop our own application we've used native development in C++ and leveraged Cascades to build a smooth UI. We will polish our app in the following month and are excited about the great results we expect once BlackBerry 10 is launched." To help developers get started on the BlackBerry 10 platform, attendees of the BlackBerry 10 Jam event in Milan will be provided with a BlackBerry 10 Dev Alpha device in order to test their apps and to help ensure their apps are ready and available for customers when the first BlackBerry 10 devices are expected to launch in the latter part of 2012. Currently in beta, the BlackBerry 10 developer toolkit includes the BlackBerry® 10 Native SDK with Cascades, which allows developers to create graphically rich, high performance native applications in C/C++. The Native SDK for BlackBerry 10 has a rich set of APIs (Application Programming Interfaces) that give developers access to core device features and a range of BlackBerry application services, such as Push and Payment services. Cascades is a powerful native application development toolset that allows developers to easily build visually stunning applications in C/C++ or QML without having to write complex, low-level graphics code. Applications created with any of the BlackBerry 10 tools will run on BlackBerry 10 smartphones as well as BlackBerry® PlayBookTM tablets when the new platform becomes available for the PlayBook. All of the SDKs will be updated to give developers access to more of the unique capabilities of BlackBerry 10 over the coming months. The BlackBerry 10 Jam World Tour continues Thursday, May 31, 2012 in Barcelona, Spain.